NEW YORK, July 10, 2018	(Newswire.com) - CogniFit, a world leader in neuropsychological testing, brain training, and cognitive stimulation, has launched an online cognitive assessment battery designed to help screen cognitive impairment in cancer patients. This battery is a complete cognitive screening to assess the risk index of suffering from cognitive deterioration after an oncological process. Cancer is one of the most devastating diseases affecting the world today. In the United States only, it is estimated that 15 million people live with cancer. Cancer treatments can be very aggressive on the body as well as on the brain. Cancer survivors have experienced, for months or even years after treatment, problems with memory, attention, and processing information. As many as 3 out of 4 people with cancer say they are not as mentally sharp. This phenomenon is called chemo fog as well as chemo brain, chemotherapy-related cognitive impairment, or cognitive dysfunction. Chemo fog not only includes chemotherapy and radiotherapy but hormone therapy as well. The CogniFit Cognitive Assessment Battery for Chemo-Fog (CAB-CF) is a leading professional tool made up of a battery of clinical test and scientifically validated tasks designed to quickly and accurately help assess the presence of symptoms, traits, or dysfunctions in the cognitive processes affected by cancer treatment. The CAB-CF is suitable for people 18 years and older who have undergone cancer treatment and may present related cognitive decline. Anyone can easily use this tool, professionals or individual users looking to assess their cognitive skills. The results of this assessment will automatically be available after completing the 30 to 40-minute test. 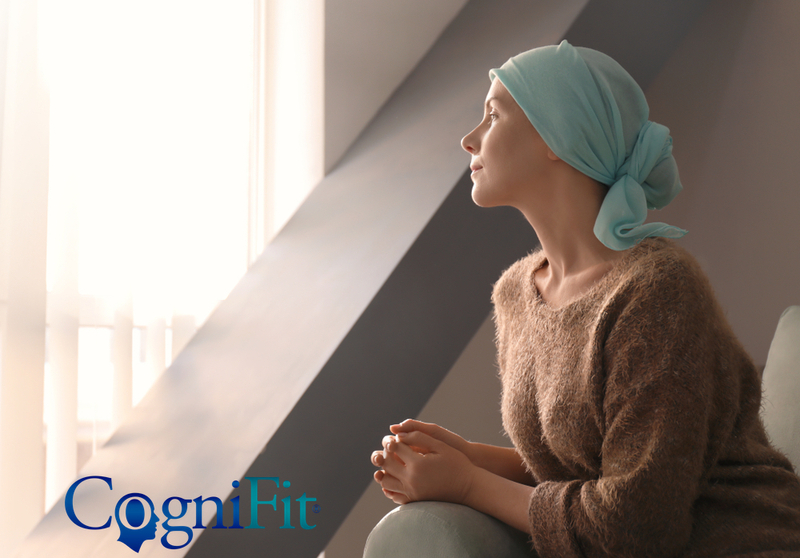 “CogniFit offers this complementary test to help screen secondary cognitive symptoms of cancer treatment. The earlier that you work to improve the skills, the better chance there is of recovering cognitive function and independence,” said CogniFit neuropsychologist David Asensio on the importance of detecting cognitive decline due to chemo-fog. The CogniFit Cognitive Assessment Battery for Chemo-Fog (CAB-CF) helps screen chemo-fog related cognitive decline, such as changes in memory, attention, and concentration regardless of gender, age (18+) or type of cancer. It is recommended for anyone who has undergone any type of cancer therapy regardless of the amount of time that has passed since the therapy. Cognitive functions are the mental processes that allow us to receive, select, store, transform, develop, and recover information received from external stimuli. The different types of cancer therapy can impair these functions, reducing neural connections. This assessment can help screen which of the cognitive functions have suffered the most so that treatment can be accurate and increase neuroplasticity. The CAB-CF is a professional tool created by specialists in cognitive impairment. All CogniFit cognitive tasks are patented and validated, accessible and easy to use. CogniFit is a leader in neuropsychological testing and cognitive stimulation and is used and recognized by the scientific community, universities, foundations and medical centers around the world.